The flooded cypress forests of Reelfoot Lake are unlike anywhere else in Tennessee. 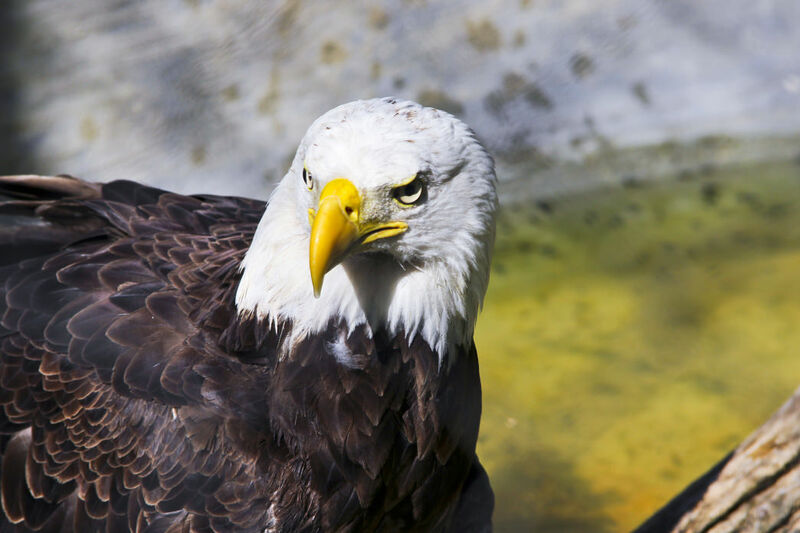 More bayou than lake, the shallow waters of Reelfoot Lake—formed by a series of ferocious earthquakes in the early nineteenth century—echo with the whistling call of the golden and American bald eagles who nest here, and are thick with migrating bird species. When earthquakes shot across the American Southeast in late 1811 and the spring of 1812, the landscape along the New Madrid Fault (which runs parallel to the Mississippi River Valley) changed dramatically. These tremors could be felt as far away as Washington, D.C., and even, according to some reports, Quebec City—nearly 1,400 miles away. This area of western Tennessee was still the frontier, so few settlers lived there to serve as eyewitnesses to the change of scenery. What we do know, though, is that huge swaths of land slid, and rivers literally changed course as a result of the seismic activity. Fallen trees formed massive logjams, sandbars shifted, islands were created and subsequently demolished. Among the more significant changes, the quakes opened a great hole in the ground that would be the basin of Reelfoot Lake. 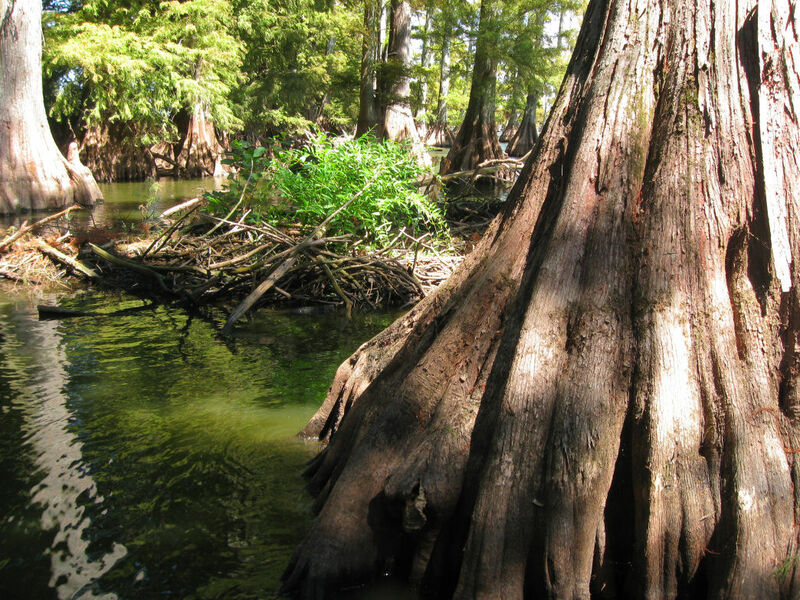 After the earthquakes, the Mississippi River backed up on itself, filling in Reelfoot Lake and flooding the once-dense stands of bald cypress trees. Local legend has it that the lake is named for a Native American chief, though that story has been largely dispelled. The Choctaw story about the lake’s formation, in which a chief brings the wrath of the Great Spirit—the cause of the tremendous earthquakes—remains important the area’s history, but the name itself probably didn’t come from local Choctaw peoples ("Reelfoot," as it turns out, is not a word in the Choctaw language, so it’s unlikely that a centuries-old chief would’ve been given that nickname). Coincidentally, folk hero Davy Crockett, known widely as the "King of the Wild Frontier," spent significant time in the Reelfoot Lake area right around the time of its name change. He passed most of the early 1830s hunting and trapping in the area, making camp on Bluebank Bayou. Today, several local landmarks, including a church, the town of Crockett Mills, and an entire county, are named in his honor. Nearly a century after the earthquakes and Reelfoot Lake’s formation, the area became a hotbed of vigilantism, and the state militia of Tennessee consequently occupied the area. When a group of wealthy landowners bought the entire shoreline of the lake and restricted families who had depended on the fishing and hunting in the area for subsistence, things turned bloody. Local subsistence fishermen and their supporters began to raid the landowners’ properties. These raids and attacks escalated until two lawyers, supportive of the landowners, were attacked. One of them was brutally murdered, so the Tennessee Militia moved into the area to bring about an enforced peace. Things remained tense, but the raids eventually led to the opening of Reelfoot Lake for public use, no matter the land ownership surrounding it. After these bloody years, Reelfoot Lake became a recreational and commercial cornerstone of Tennessee. One of the only commercial fisheries for crappies, which were served at restaurants all along the shoreline, the lake supported fisherman and the local tourist economy. Hunting and fishing lodges, and vacation homes for boaters sprung up. 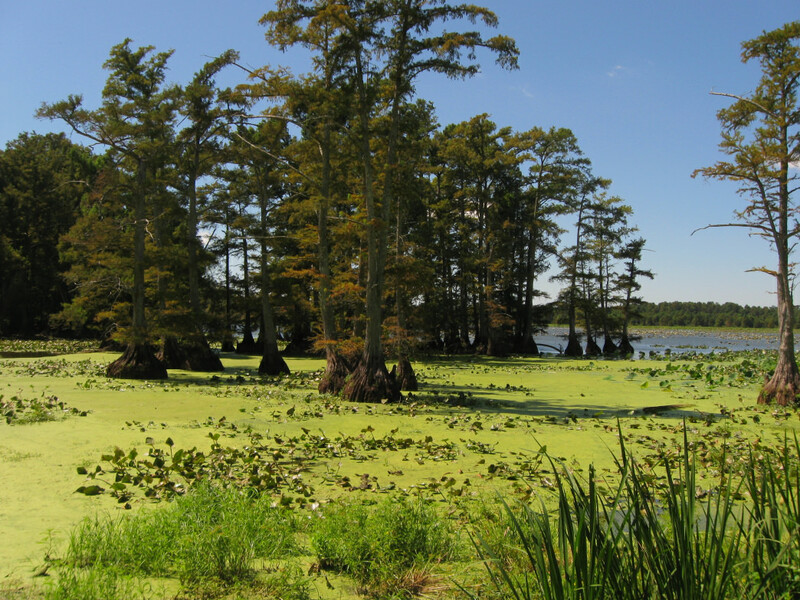 Today, Reelfoot Lake is recognized as a unique recreational gem of Tennessee. The best way to experience this out-of-this-world wetland is by boat. Five public boat launches, scattered all over the state park, provide easy access. It’s all flatwater paddling, so a canoe is the best bet for exploring. Use caution, though, as the shallow water averages just five feet deep, and there’s a partially submerged cypress forest just below the surface. Fall colors and the shorebird viewing season are two factors to consider when planning a boat trip, but most important are the wind speed and directions. Check the forecast, as the wind can (literally) change the course of your trip. 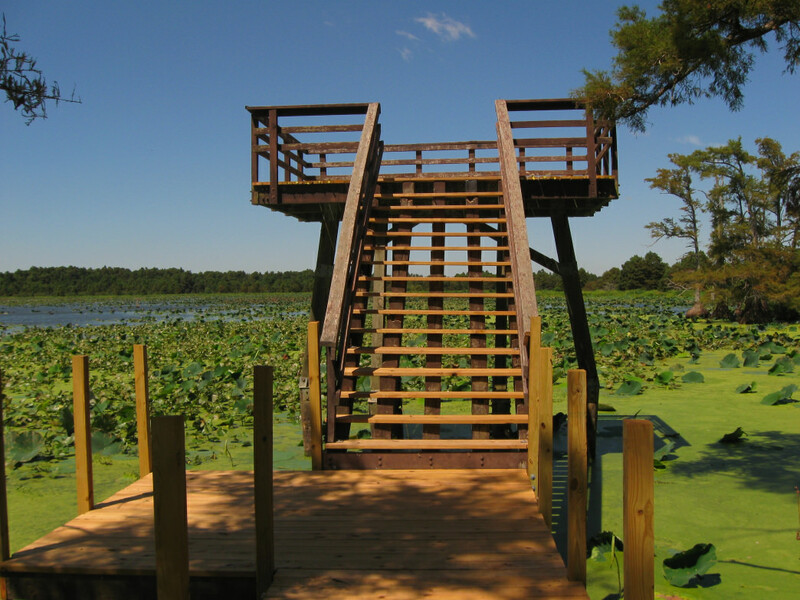 Accommodations for Reelfoot Lake visitors are wide-ranging. Numerous resorts line the shores of the lake, and the construction of some small cabins is currently underway at the south end of the lake. Two campgrounds, with fees ranging from $8 to $25 per night, depending on the amenities (or, alternately, privacy) you’re seeking, are operated by the state park. These days, the 15,000 acres of water in Reelfoot Lake State Park brings visitors from all over the country to explore its many basins, all nestled in a thick cover of bald cypress trees. Despite this draw, otherworldly solitude can still be found in the ditches and basins (some natural, others man-made) that the lake fingers out into. Exploring the 20-mile length and seven-mile width of the lake could take a lifetime.